I fell in love with the blue ranges on the Valspar paint chips. It has taken me about a year to really think the project through as you can see. That was my first little sample can. I got three. For $9.99 each. 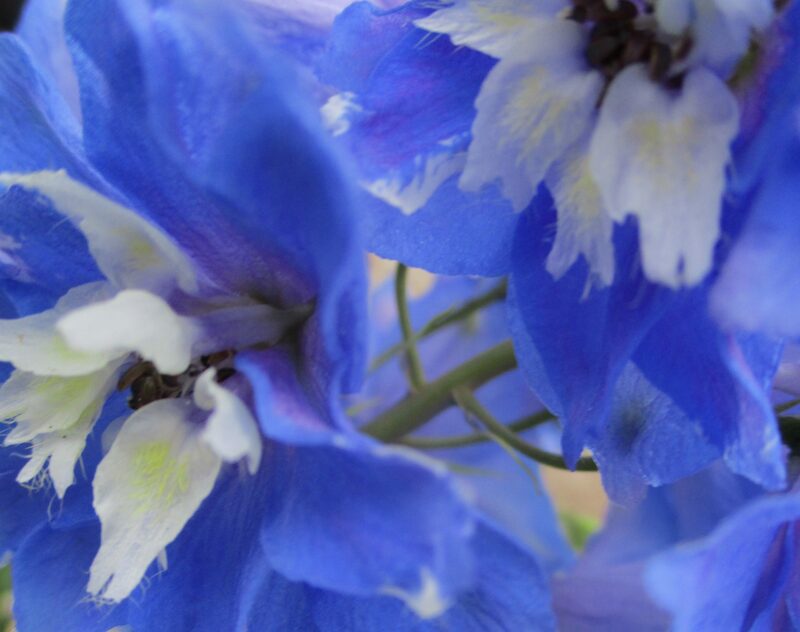 All last January through June I looked at the Delphiniums I planted. They were “Magic Fountains” strain, and as we move into fall they are still going. But these are flowers for next year. When I start to think of the Holidays coming, I feel like baking. But not in Pumpkin Spice. This is not an expensive project. This is a roll up your sleeves and redesign an ugly duckling into something gorgeous. This is a project about kindness. Imagine that you have a pumpkin spice kitchen and you want Delft blue and white. I’m so happy with my new Purdy brush. They are the best, and I’m using a brushy style for the fronts of the cabinet doors using that chalk paint, but this brush is going to make all the difference in the finish I get. It’s made here in America, and I’m proud of that fact. I’ll be keeping you posted on a daily basis about how things are looking and how I am using my tools. Ace Hardware gave me free brushes last fall when I bought some primer, and my first two cans of Satin finish Valspar in white for the walls. This entry was posted in Design. Tagged American, Best Brushes, Blue and White, Choosing colors, Colors, Decorating, Delft, Design, DIY, Fresh, Hardware, kitchen, paint, Paint brushes, Paints.